City Search & Local partners with the most established and popular search engines, maps, apps and directories across the globe. everywhere customers search for your business. — no matter the language, country, currency, or address format. 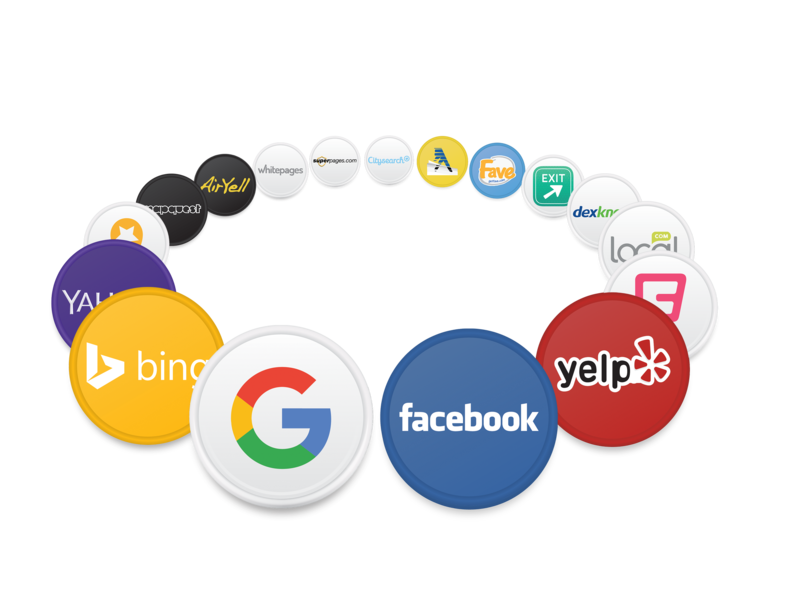 Inconsistent business location information across online maps, apps, directories, GPS devices, social networks, and search engines costs you real sales. People think it looks bad and, with search engines considering that, it hurts your SEO. City Search & Local's Listings Platform blocks duplicate listings from appearing online (i.e. from aggregators, other people). Duplicate listings are going to happen and they often contain inaccurate information. We stop them before your customers ever see them. Realtime insights into how people are engaging with your business on all of our publishers. Analytics are critical to your success. City Search & Local's publisher relationships provide exclusive analytics on your presence across the City Search & Local's Listings Network to help you measure what's working and how your customers are engaging.